Showing appreciation to donors is a very important issue for private schools and other institutions. 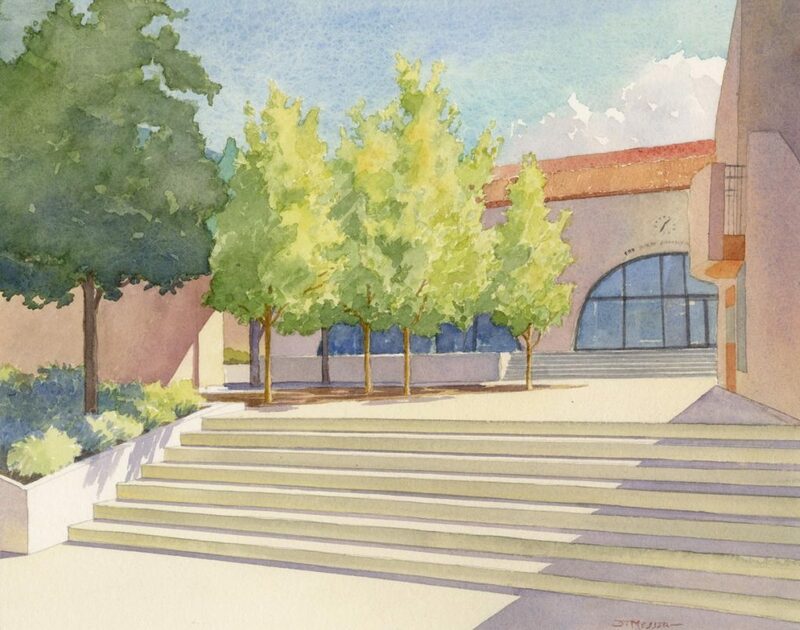 Recognizing major donors may take permanent form by adding graphical elements to the built environment, as a result, bronze plaques, dimensional lettering, and ceramic tiles with family names are often used to identify sponsored campus features. We also often see “tree of giving” walls with donor names. On the lighter side, gift giving is a great way to show appreciation to donors. A personalized gift that the donor can take home is a fitting gesture, as it will remind them of their generosity, its context, and how much the institution appreciates them. 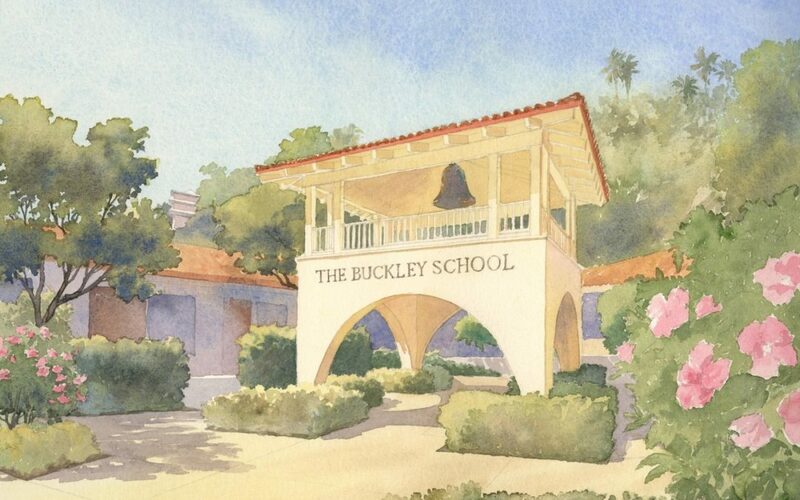 I was recently asked by Shelly Schroth, the director of Advancement at the Buckley School in Sherman Oaks if I would be willing to produce a couple of paintings of iconic features of the school. She wanted the paintings to resonate emotionally with donors about the spiritual presence of the school, therefore it was important to her that both images be paintings rather than renderings. The bell tower at Buckley made a perfect first image. We also chose the Gingko grove in a private and serene plaza between classrooms. Once the paintings were finished I was asked to produce sets of hand-signed giclée prints in various sizes that could be framed nicely and given as gifts in proper context. The response from recipients has been strong and emotional. Shelly has told me that many often well up when they see their framed pieces. Architectural rendering is so often about business; as a painter, an emotional response like this is very rewarding to me. Thank you, Shelly, for giving me the opportunity to produce these two paintings.